A small white spider ran over my moccasin. Canada geese ke-honked off to the east. Witch hazel leaves with pale yellow outer edges and soft green inner hearts fluttered in a cool northwesterly breeze. The air smelled damp and plain on that mid-October morn, in the Year of our Lord, 1798. The maples and yellow birches in the Raisin’s bottoms stood bare; the oaks in the main woods still showed their summer greenery. The wild cherry trees sported sparse yellow patches; orange and crimson maples dotted the edges of the huckleberry swamp. Across the River Raisin, along the base of the far ridge, a clump of hickories shone a brilliant gold. To the east, in the middle of the long, narrow clearing, milkweed down clung to open pods atop leafless stems. “Jay! Jay! Jay! Jay!” Several blue jays exchanged half-hearted alarms in the huckleberry swamp’s impenetrable thicket. Around the bend, where the old campsite looked down the hill into the tangle, a deer snorted, but not real hard. “Gob-obl-ob.” The turkey cut short a muffled exclamation, but I heard enough to know the bird was on the trail that crossed the little knoll due east of the big oak we called the “yellow tree.” I scooched my hips to the right, pulled my left leg up and rested the Northwest trade gun on that knee. The turtle sight pointed at the black locusts; the trail the turkey was on broke into the clearing there. A gust pushed the wayward hairs that hung from my temples. A quiet cluck, then another confirmed more wild turkeys. I mentally paced off the smoothbore’s effective distance. The doe trail angled in front of my lair, but I suspected the fowls might hug the swamp’s edge and wander up the hill, keeping out of sight and range of the death bees. The forest’s sanctity embraced my soul. Not long before, a haunting intuition suggested a humble hunter should pause at the clearing’s tree line. I dropped a lightweight trade blanket to the ground and sat with my back against a powder-keg-sized oak. A second, much larger oak blocked my deathly shape from the view of any creature that happened into the clearing and glanced north. A juniper grew close in front, and the witch hazel branches were a few feet to my left. “Gob-obl-ob.” A pair of soft clucks and a putt answered. The gobbler still followed the doe trail; the hens sounded ready to break into the open on the swamp-edge path. A single deer’s legs walked south to north, way up the hill, well beyond the gobbler. Flapping wings broke the solitude. A turkey flew around an orange maple and dropped down near where I thought the hens were. Putts and sharp pops betrayed the flock and the new arrival—it seemed unwelcome. Much to my delight, the turkey music turned and began to flow in the direction of the doe trail and the gobbler’s last call. Then the woods hushed. In a short while, a light-colored wild turkey took wing, landing in the orange maple’s foliage, short of the top. I heard one, maybe two birds flap up. Blue jays raised a ruckus out in the huckleberry bushes. I wondered what spooked the birds into roosting; I expected to see a coyote cross the clearing at any moment. I waited a while more, but never saw another turkey. Unfortunately, the sun’s location told me that morning’s time traveling must come to an end. I scrambled to my feet, draped the blanket over my left shoulder and zigzagged tree to tree straight away, slipping away from 1798, hoping my presence would not be detected. Whether an individual is new to traditional black powder hunting or a seasoned veteran, the inclusion of a persona within any given historical simulation adds a new dimension to the pursuit of wild game. It is important to note that some traditional hunters never feel a need for a persona, and that is fine. The choice is personal. For those who embark on creating a persona, a period of rapid learning, tolerance of the unknown and a bit of frustration accompany the stitching together of any alter ego—a living historian’s honeymoon, of sorts. A healthy dose of measured compromise (the art of taking stock of a given circumstance within a simulation, evaluating the negative impact on the overall outcome and applying a remedy that reduces or neutralizes that impact) helps smooth the initial wrinkles. In simplest terms, a persona is a vessel in which one can stash away all the primary documentation pertinent to that fictitious individual’s social standing, geographical region and time period. Each snippet of documentation is like a puzzle piece, and as pieces accumulate a clearer picture emerges of that particular woodland character. Now and again, pieces that do not fit must be discarded, or, at the least, reevaluated. In the early days of an emerging persona, a swirling conglomeration of history, personal interpretation and the results of experimentation in the wilderness classroom seem to bombard the mind with a relentless flood of questions and a trickling of answers. This is a natural part of the traditional woodsman’s learning process, but the apparent confusion that exists must be kept in perspective. At times, maintaining the proper perspective is a daunting task. As I waited in vain for the turkeys to venture closer, I found myself mulling over the relationship between traditional black powder hunting’s three elements: historical traditions, a reliance on black powder arms and fair-chase hunting. Before, after and throughout any traditional hunt, the relationship of the three elements constantly adjusts to the situation. For example, dressing for a hunt and preparing one’s mindset with regards to a specific time period, life station and geographical location places a greater emphasis on the traditional element; stalking a deer swings the importance to the hunting element; and at the time of taking the shot, reliance on the black powder arm is foremost. For newcomers to traditional black powder hunting, the mastery of all three elements is all but impossible, yet the challenge this presents is a major draw to the pastime. Again, the relationship shifts within each hunt and as problems arise. A missed deer might result in a few trips to the range to overcome whatever caused the errant death sphere, or a bounding white flag might dictate time spent on still-hunting or stalking skills. 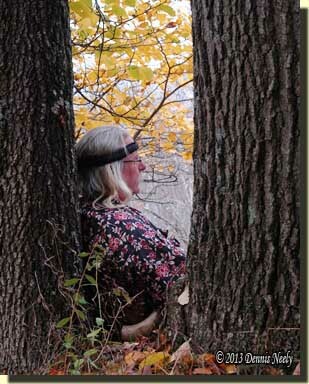 In the case of an experienced traditional woodsman adding a new persona, a large amount of “carryover” exists between the three elements, depending on the persona chosen. If a different black powder arm is necessary, the knowledge base from learning to maintain, handle and fire the old arm safely gives the new alter ego a tremendous head start. 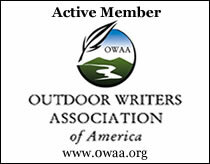 The same holds true for one’s understanding of a specific game species’ preferred habitat, food sources and seasonal travel patterns and the traditional hunting skills used to pursue that critter. Fine tuning might be necessary to match the intricacies of the new characterization, but that is part of the fun of delving into a different persona. As a 1790s woodsman attempting to supply meat to a small North West Company trading post, the historical me worked hard learning to hunt in a style consistent with 18th-century primary documentation. Whether it is the modern me or the historical me, I possess a working knowledge of which trails the turkeys prefer, the time of day they like to use them and the alternative courses they sometimes take. The challenge now is to adjust that knowledge to match the new persona. The end result of all that cogitating is a realization that I do not have to relearn the skills I already possess, I just need to be more cognizant of the relationship between the three elements. This revelation has brought a sense of inner peace and quelled the swirling waters of uncertainty. 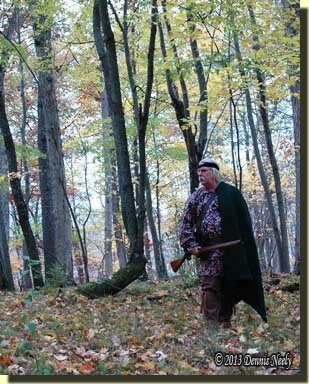 This entry was posted in Living History, Persona, Turkey Hunts and tagged Dennis Neely, historical trekking, Mountain Man, North West trade gun, Northwest trade gun, trade gun, traditional black powder, traditional black powder hunting, traditional blackpowder, traditional blackpowder hunting, Traditional Woodsman. Bookmark the permalink.